Wheel loaders are used to load and transport materials across sites with ease. Used to scoop material, wheel loaders are a key part of any construction project. They also load or move the material from one place to another. 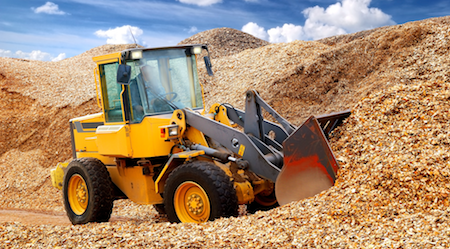 This guide will explain what you can use a wheel loader for and why it's best to rent one. It will also cover how to maintain safety protocols on the job. Also, you can learn a little bit about the history of the machine and which companies manufacture it. The 1920s saw the first wheel loaders. Small agricultural tractors were fitted with a shovel mechanism and loader bucket. The operator could pivot the bucket via a clutch and dump it with a trip-release lever. Once back on the ground, the bucket remained locked. When the operator moved the machine, the bucket moved. In 1929, England-based E. Boydell & Company made the first official wheel loader. More appeared over the next decade. Chicago engineer Frank G. Hough developed the Hough Model HS 15 years later. Called the HM Model, this machine was the first 2-wheel-drive, rubber-tired loader. Since it was hard to move, the company made an articulated wheel loader. Some companies base their current wheel loaders after this one. After World War II, companies wanted bigger and better wheel loaders. Tractomotive Corporation made a hydraulic loader part that lets the machine act more like a digger. In 1952, the International Harvester Company bought the Frank G. Hough Company. It made wheel loaders under the Hough name for 30 more years. That stopped when Dresser Industries bought the company. Several years later, the H-120 Payloader hit the market. In the mid-1950s, Mixermobile Manufacturers of Oregon made an articulated framed wheel loader. It was called the Scoopmobile Model LD-5. The UK's Matbro created its own around the same time. Other companies got into the wheel loader market in the early 1960s. These include Caterpillar, International Hough, Michigan and Allis-Chalmers, and Trojan. These companies improved the machine's ease of operations, but they disagreed on where to place the operator in the machine. Some wanted operators in the front, which provided better visibility. Others wanted them in the rear so they could steer the bucket more easily. Over the years, companies leaned toward a rear mount for safety reasons. In 1986, Japan's Surface Mining Equipment for Coal Technology Research Association (SMEC) developed a wheel loader. SMEC contains 11 construction equipment manufacturers. 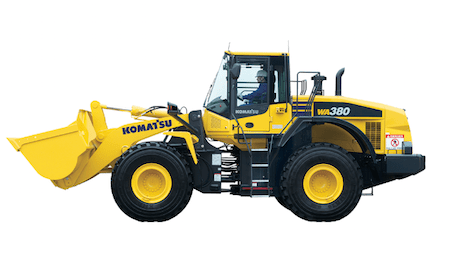 Around that time, Kawasaki Heavy Industries developed their wheel loader, which was the world's largest. 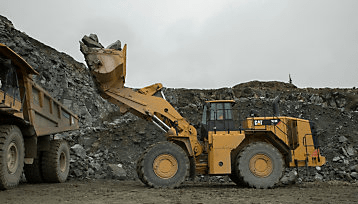 In the 1990s, Caterpillar and LeTourneau continued to dominate the wheel loader industry. Many companies have patents for wheel loaders. Utility patents expire about 20 years from the filing date. Design patents offer protection for 14 years. Companies work with inventors to make improvements on the machines. 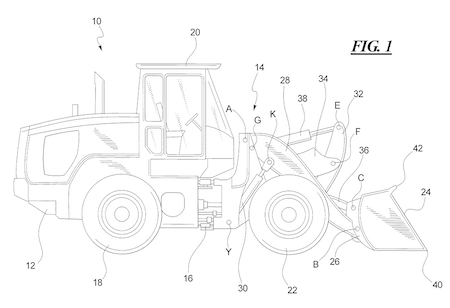 The following are a few examples of patents issued for wheel loader applications. Developed in 2010 by six individuals for Caterpillar, Inc., this patent is for a Z-bar linkage for wheel loaders. This piece helps the machines move an attachment. These include a bucket or pallet fork. It consists of lift cylinders used to rotate the arms and lower the attachment. When in use, the Z-bar linkage does not affect other attachments. This 1989 patent was obtained by Komatsu, Ltd. The safety device prevents wheel loaders from slipping. It detects the slip potential by monitoring revolutions between the drive wheels. It determines if there are changes. It also controls the clutch pressure. The device puts the machine in half-clutch position if necessary. This patent was created for Yanmar Co, Ltd. in 2014. It shows the design for an updated wheel loader. The new design lets operators move heavy-duty materials that other types cannot. It also features a new engine cover, giving it added protection from the elements. 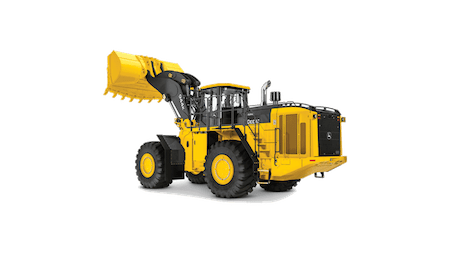 What Is a Wheel Loader? 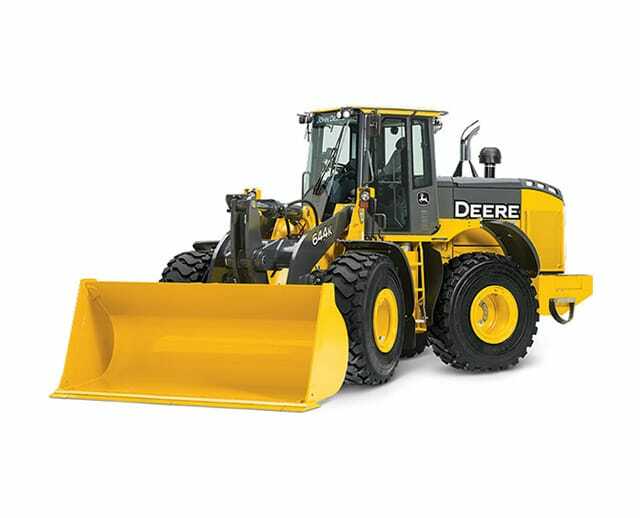 Wheel loaders are tractors with large buckets on the front. You use them to scoop heavy materials. You can then load the materials into trucks or move them from one site to the other. You can rent several different sizes of wheel loaders. They range from mini loaders to large ones for mining. Compact wheel loaders, which have less than 80 horsepower (hp), can do certain tasks. Since they are smaller, easier to move, and weigh less, compact wheel loaders are best for working in confined areas. They also use less fuel and can lift almost as much as the larger ones. They work best when a standard one is too large, but skid steer loaders are too small. Hydrostatic wheel loaders are another type. They use a drive system that lets you choose power modes. These modes adjust the maximum revolutions per minute made by the engine. Speed is unaffected by these loaders. Wheel loaders are a top choice when the goal is to load, transport and transfer hefty loads. Wheel loaders are usually found at construction sites. You can use them for transporting, transferring, and relocating materials. They can also help build roads, prepare a job site, and carry heavy loads. Wheel loaders are also common in other fields. They're found in agricultural, industrial, mining, and waste management sites. You can use these attachments for many construction jobs. Also, you can use them for a variety of smaller tasks. They can help with landscaping projects, digging post holes, and picking up materials. One of the most famous companies in construction, Caterpillar, Inc. officially began in 1925. Benjamin Holt created a steam tractor with planks wrapped around the wheels. This tractor eliminated the need for a temporary plank road to move the vehicle. This continuous track made the machine look like a caterpillar. Holt liked the reference and kept the word as part of the company's name. The John Deere & Company got its start in the early 1800s. Blacksmith John Deere moved from the East Coast to the Midwest. He saw a need for cast-iron plows to turn over the sticky, heavy prairie soil. In 1837, he created a plow from a broken saw blade. He formed his company that year. Several years later, the business began to produce other tools. 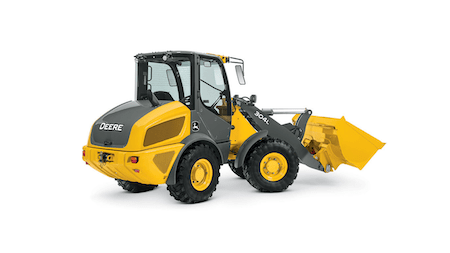 Since it began, John Deere has expanded its selection of wheel loaders. 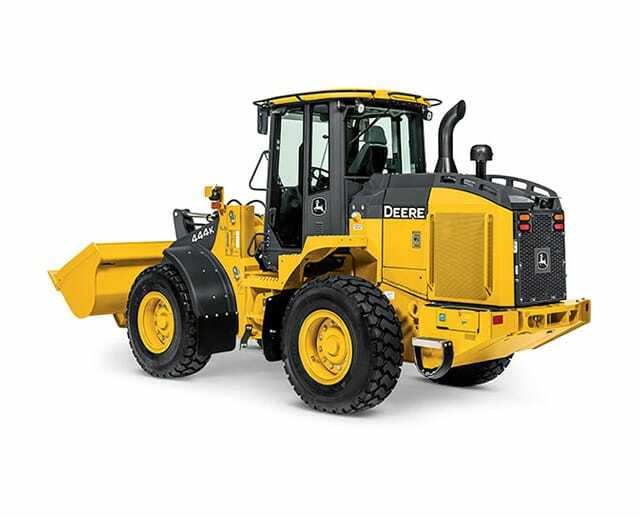 It produces more than 15 different compact, mid-size, and large wheel loaders models. It even offers hybrid ones. Its smallest model has a 61 hp engine, while its largest has a 536 hp engine. Komatsu American Corp. (KAC) began selling its products in the 1960s. It began operations in North America in 1970. The business makes its equipment at more than 150 locations across the world. It is the second-largest supplier and manufacturer in North America. KAC wheel loaders work best in jobs for construction and mining. They use new hydraulic and drivetrain technology features. The company divides its wheel loaders into categories based on horsepower. The smaller ones have a horsepower from 0 to 175. The mid-size ones have a horsepower between 176 and 600. 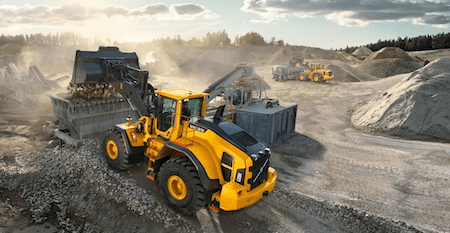 Mining wheel loaders have a horsepower of more than 600. In 1832, Johan Theofron Munktell founded what would become Volvo Construction Equipment. The Swedish company made the first tractor in the country. Exactly one century later, the company merged with Bolinder. That company made steam engines. In 1950, Volvo bought the merged business. It produced the first wheel loader H-10 four years later. 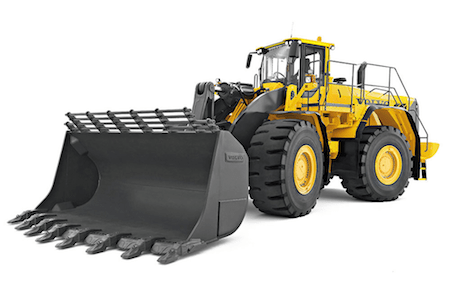 Today, Volvo Construction Equipment produces two types of wheel loaders. Its compact wheel loaders are durable and have rounded contours. The large wheel loaders are a versatile choice for various job sites. Both types have safe and comfortable cabs. They also have Volvo engines that offer efficient fuel economy. 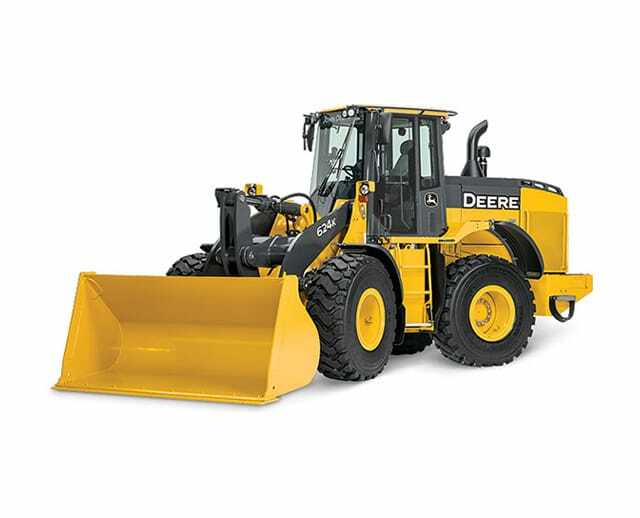 Some of the most popular wheel loader models include well-known brands. Caterpillar is the most common brand. BigRentz has a variety of Caterpillar wheel loader models for rent. Availability varies depending on your location. Below is a list of some of the most popular models. The Cat 988K XE was introduced in 2017. 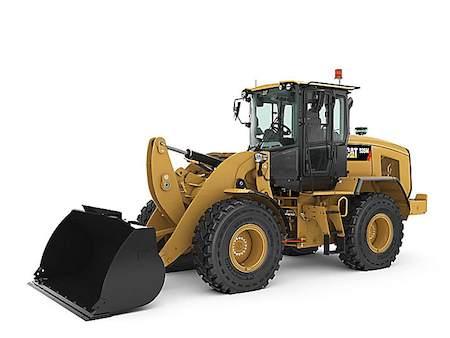 It is the company's first wheel loader with a high-efficiency electric drive system. It also has increased truck loading and load-and-carry efficiency. This one has reduced greenhouse gas emissions and a smaller carbon footprint when compared to the previous model. The machine also has lower maintenance costs due to its extended oil change intervals of 2,000 hours. It also uses 40 percent less oil than before. It's powered by a 541-hp net power kw diesel engine and has an Operating Weight of 116,362 lbs. The John Deere 944K has a hybrid-electric drive. It burns significantly less fuel when compared to loaders with conventional drivetrains. Introduced in 2016, the machine has a 536-hp net power, an Operating Weight of 117,947 lbs, Interim Tier-4 engine. It also has standard traction control to limit slippage. The KAC WA380-7 uses a 191-hp net power, Tier 4 Interim engine and has an Operating Weight of 41,115 lbs. Its large capacity torque converter gives you powerful digging power. Compared to the previous model, this one can save you up to 10 percent on your fuel bill. Its SmartLoader Logic makes it work more efficiently. You can easily climb hills with this wheel loader. You can also get a maximum ground speed of 25 mph. It has an increased cooling capacity and standard auto-reversing fan. The Volvo L350 F weighs between 50 and 54 tons, has an operating weight of 119,050 lbs, and has a Volvo engine with 532 hp net power. It also has improved fuel efficiency, productivity, and balance. This large wheel loader replaced the L330F. You can learn more about different wheel loaders by finding reviews about specific models. Look online to find written or video reviews from industry experts, renters, and owners. 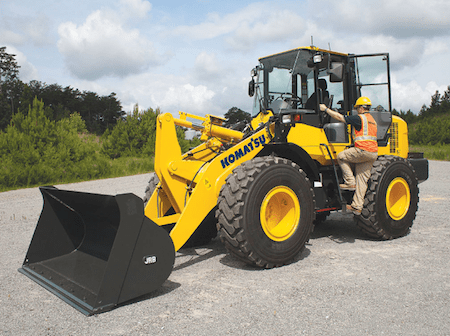 Below are some wheel loader reviews to help you find key features for your next rental. Equipment World reviewed three Volvo small wheel loaders. They all offer fuel-efficient gains. This is due to new engines and a smart gas pedal. This pedal helps you if you have a habit of going too fast. Called an eco pedal, it pushes back against your foot when the engine power exceeds your task. Each model is powered by a Volvo 6-liter engine. The powertrain includes a shaft transmission. The L60H has a horsepower of 165, the L70H has a horsepower of 170, and the L90H has a horsepower of 184. The L90H has increased engine power and torque compared to the L90. In late 2016, Trade Earthmovers released a list of its five favorite wheel loaders over 20 tons. Included on the list were the Komatsu WA480-5, the JCB 457HT, the CASE 1021F, the Hyundai HL770-9, and the Cat 966H. The mid-range Komatsu wheel loader works well in mines. The JCB has a single joystick for operating and gives you a smooth ride. The CASE machine gives great vision and plenty of power under the hood. The Hyundai has a redesigned cab, which improves the wheel loader's safety and visibility. The Cat wheel loader has fast direction and lots of power. In 2017, Corn & Soybean Digest reviewed the John Deere 244K-11 and 324K. These compact wheel loaders give more visibility, productivity, and versatility. The 244K-11 has a 70-hp engine and reaches speeds of 17 mph. Its steering gives you a smooth turning radius. The 324K has a high-lift option. This feature lets you reach higher spots. It also ensures you don't tip over when the bucket is raised high. When it comes to any heavy machinery, there are potential hazards. Wheel loaders are no different. If operated improperly, these machines can cause dangerous situations. It's better to be informed about potential injuries so you can follow safety protocols. The wheel loader buckets change the machine's center of gravity. It reduces the machine's stability and increases the risk of tipping. There's a greater risk for tipping when the loader is raised. There's an even higher risk if there are materials in the loader. Avoid putting too much material in the loader. Many wheel loaders can work well on rough terrain. However, uneven or loose terrain can increase the chance of it rolling over. Be aware of the terrain, especially if you're carrying heavy loads. Any instability can be dangerous. Other employees might not pay attention when walking around equipment. Also, operators might not see people standing near the bucket. You must pay attention to your surroundings. This is important whether you are inside or outside the vehicle. When operating the wheel loader, follow safety protocols. Injuries can be expensive for injured employees and their employers. Follow these steps to help minimize the potential hazards listed above. To prevent tipping, turn the machine at a slow speed. Move carefully when operating it, especially on rough roads. If you're working near a drop-off, make sure there are barricades up. These can prevent you from falling over the edge. Travel forward if you go uphill. Carry a loaded bucket about a foot off the ground. Avoid loading the bucket with too much material. For extra stability, travel in reverse if you carry loads down a steep incline. Before you put the wheel loader in gear, check the area to make sure there are no people nearby. All workers should avoid standing near the loader's mechanical arm. They can also wear reflective gear to help the operator see them. Make sure the machine has its backup alarm on. The noise can alert others in the area. Before you operate a wheel loader, you should obtain training. There are no federal or state certifications available. Some companies have their levels of training. Caterpillar is one such company. It offers Level I, II, and III training. All sessions take two days to complete. Level I training is for entry-level operators and includes safety and basic operating procedures. Level II training is for those with three or more years of training who want to refine their techniques. Level III training is a certification that ends with a safety quiz. Another training option is to finish a certification course. Accredited training schools offer these courses. You can receive certification from the National Center for Construction Education and Research (NCCER) through these courses. You could also contact a construction company directly. The company may offer apprenticeship or internship spots. This gives you on-the-job training on how to operate specific wheel loaders. Some employers make new hires go through a supervised evaluation. New workers may also need to train for a bit before they can operate the machine at a job site. How Do I Rent a Wheel Loader? BigRentz has three different types of wheel loaders available to rent. You can opt for the 2.5-yard articulating loader, the 3-yard articulating loader, or the 4-yard articulating loader. The specific models vary depending on your location. Determine which type of wheel loader you need, and enter your address or ZIP code in the box. You will get an accurate list of wheel loaders available for rent. After you narrow down your options, click “Add to Cart.” Enter the extra information to secure the reservation. When looking to rent wheel loaders, make sure that they have certain safety features. This is important if you're using the machines at job sites where there are many workers around. They should have rearview cameras, backup alarms, and decent vision from the cab. Check to see if the machinery has hydraulic locking parts and emergency steering. These can help to prevent accidents. How Do I Choose the Right Size Bucket? To help you determine what type of bucket you need for your wheel loader, figure out what you need the equipment for. Also, figure out if you need attachments. Some users opt to rent a larger bucket just in case, but keep in mind that the larger buckets come with larger wheel loaders. A larger machine burns more fuel and costs more money to operate. 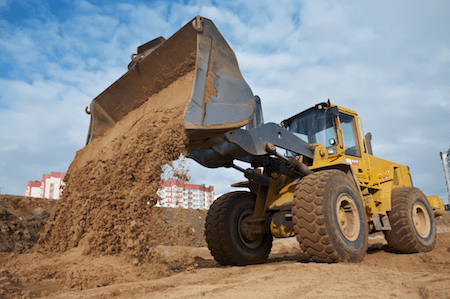 If you're looking for a heavy-duty, earthmoving piece of equipment, consider a wheel loader. You can use this machine to move materials from one place to another. With several different sizes to choose from, you are sure to find one that meets your construction needs. When looking to rent wheel loaders for your next project, check out BigRentz. You can find the best model selection offered at the best rates. You can also enjoy flexible rental lengths. This allows you to finish your job on time and within your budget. To learn more about wheel loader rentals call us.